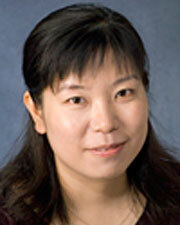 Hui Faye Xiao is Associate Professor of modem Chinese literature and culture at the University of Kansas. She has published a book Family Revolution: Marital Strife in Contemporary Chinese Literature and Visual Culture (University of Washington Press, 2014), and articles in Modern Chinese Literature and Culture (MCLC), Journal of Chinese Cinemas, Journal of Contemporary China, Chinese Films in Focus II, Gender and Modernity in Global Youth Cultures, and Transforming Book Culture in China, 1600–2016. Currently she is working on a new book project about youth culture in contemporary China. “Gendered Spirituality, and Acoustic Imagination: ‘Life on a String’ from Fiction to Screen.” Chinese Literature Today 6. 1 (2017): 56-67. “From New Concept to Youth Economy: The Rise and Crisis of the Me Generation” in Transforming Book Culture in China, 1600–2016 (The 2016 Yearbook of the International Society for Book Studies [IBG]), edited by Daria Berg and Giorgio Strafella, 147-172. Wiesbaden: Harrassowitz Publishing House, 2016. Family Revolution: Marital Strife in Contemporary Chinese Literature and Visual Culture. Seattle and London: University of Washington Press, 2014. “Androgynous Beauty, Virtual Community: Stardom, Fandom and Chinese Reality Shows under Globalization.” In Super Girls, Gangstas, Freeters, and Xenomaniacs: Gender and Modernity in Youth Cultures, edited by Karen Brison and Susan Dewey, 104-124. Syracuse, N.Y. : Syracuse University Press, 2012. “Science and Poetry: Narrativizing Marital Crisis in Reform-Era Rural China.” Modern Chinese Literature and Culture 23. 2 (2011): 146-174.